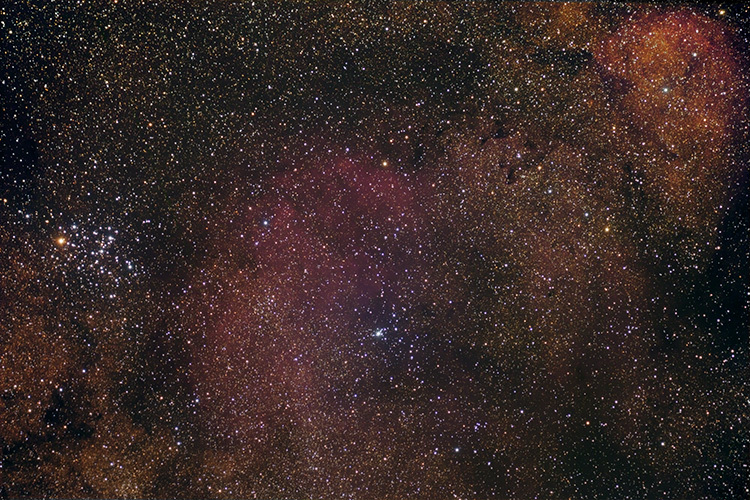 M6 is a bright open cluster that is easily visible to the naked eye, located on the left side of this image. It is located about 1,600 light-years from our solar system. The cluster's shape resembles a butterfly, so it is also known as the Butterfly Cluster. 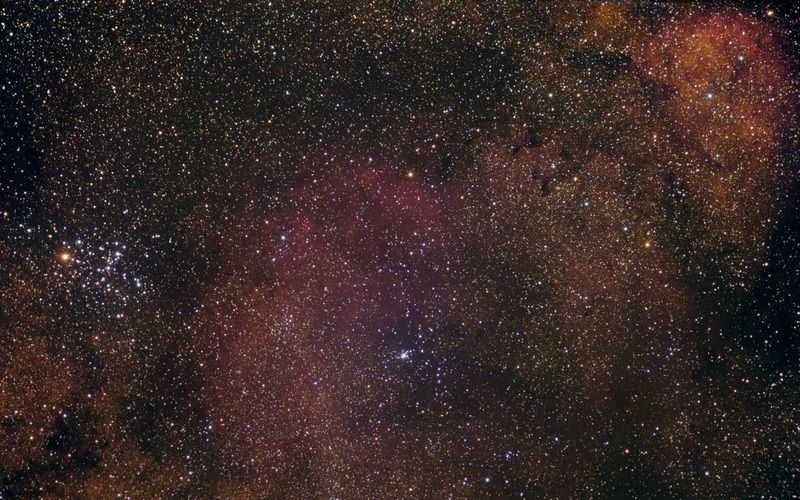 The small open cluster NGC 6838 is below center. Above and to its left is the HII region Sh2-13, and at upper right is the HII region Sh2-13. Technical Notes: Individual exposures were dithered using CCDAutoPilot2 and then sigma combined. The RGB image was created in Registar 1.0. Gaussian Blur was applied to the RGB image and Reduce Noise was applied to the RGB image and the luminance image.